Double Yellow-Headed Amazon Parrot Personality, Food & Care – Pet Birds by Lafeber Co. Some aviculturists consider the double yellow-headed Amazon a subspecies of the yellow-crowned Amazon (Amazona ochrocephala). The double yellow-headed Amazon parrot, or yellow-headed parrot, is among the most popular companion Amazons, probably due to its striking coloring and its ability to amass a substantial vocabulary. These birds are especially talented in learning opera and other types of singing, making them charming companions. They have been known in captivity since the 1500s, kept by people ranging from pirates to nobility, and are documented as having a more solid temperament than the similarly gifted yellow-naped Amazon. These 14 to 16 inch active birds are recognizable by the generous amount of yellow over the head, with flecks of yellow extending to the back and neck and yellow feathers on the legs. The shoulders are red and the rest of the body is deep green. The ring around the eye is white and the beak is horn colored. Immature birds are primarily green with a little yellow above the beak and slight red markings on the shoulders. They come into full color at the onset of maturity, at about 3 to 5 years of age. Double yellow-headed Amazon parrots are native to Mexico and northern Central America, where they live in mangrove forests and forests near rivers or other bodies of water. The double-yellow headed Amazon is an active bird that likes to clamber around its given area, and will love to fly if offered enough space. 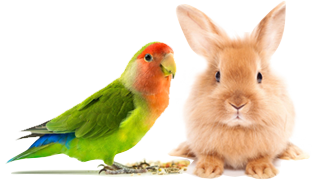 Cage materials should be strong; powder-coated steel or stainless steel makes a good choice. Toys are essential for this bird, and the most important toys are those that can be chewed and shredded. Easily destroyed soft wood and paper toys are a must, as are sturdier toys made of lava, leather, hard woods, and acrylic. The intelligent double yellow-headed will become bored easily if not given a “job” and will resort to screaming and hostile behavior in lieu of something to do. It is not a known “plucker,” but can easily pick up neurotic patterns that can be annoying to owners. Personality isn’t a problem for the double yellow-headed Amazon parrot — it has character to spare. This Amazon talks well and is quick to perform antics that will delight its owners. Destructive behavior can also be a problem with Amazons, who will gladly chew the furniture instead of toys. Supervision is essential to keeping this bird safe and the house intact. The DYH can live up to 80 years of age, and needs an owner who understands the responsibility of caring for a bird with this lifespan. On the positive side, this bird is highly trainable and wants to please its human companions. It can learn vocal behaviors with ease (and a patient, knowledgeable trainer), and can be clicker trained. A hand-fed double yellow-headed Amazon is a gregarious bird that can bond fiercely to family members, but generally chooses one person to love as it matures. This can be frustrating for other family members, but the “one person bird” syndrome can often be avoided if each family member is equally attentive to the bird. In some cases, no amount of positive attention will sway the bird’s affections away from its human of choice. All in all, the double-yellow headed Amazon makes a great companion for the person who understands its needs and who is willing to accept it as it is — a charming, hardy, talkative, noisy, oftentimes moody bird who is at once independent and intensely attached to its human friends. The double yellow-headed Amazon is a boisterous bird — it tends to be loud, with screaming sessions twice a day, at dawn and dusk. This is normal and should not be seen as a behavioral problem. Screaming does become a problem, however, when the bird screams all day long, which can happen when it’s bored due to inattentive owners. The DYH needs consistent stimulation and will not thrive on solitude. Double yellow-headed Amazon parrots are capable of singing songs, especially opera, in their entirety as well as many words and phrases. There are several subspecies of the DYH, including the Magna Amazon (Amazona Ochrocephala Magna) and the Tresmariae (Amazona Ochrocephala Tresmariae). These birds have more yellow extending well beyond the head, though they are not as widely available as the double yellow-headed Amazon. The double yellow-headed Amazon parrot is commonly bred in captivity, making them easy to find in avian-specialty stores and bird breeders, as well as from avian rescue/adoption organizations. Baby double yellow-headed Amazons are primarily available in the early fall, though their availability depends on what part of the country they are coming from. Most states now require closed bands on all birds, so watch out for “great deals” in Amazons, especially close to the Mexican border. A Mexican native, the DYH is often smuggled into this country and then dumped on unsuspecting shopkeepers. Statistics show that there are nearly 50,000 parrots smuggled in inhumane conditions across the Mexican border each year, half of which die before reaching the United States.